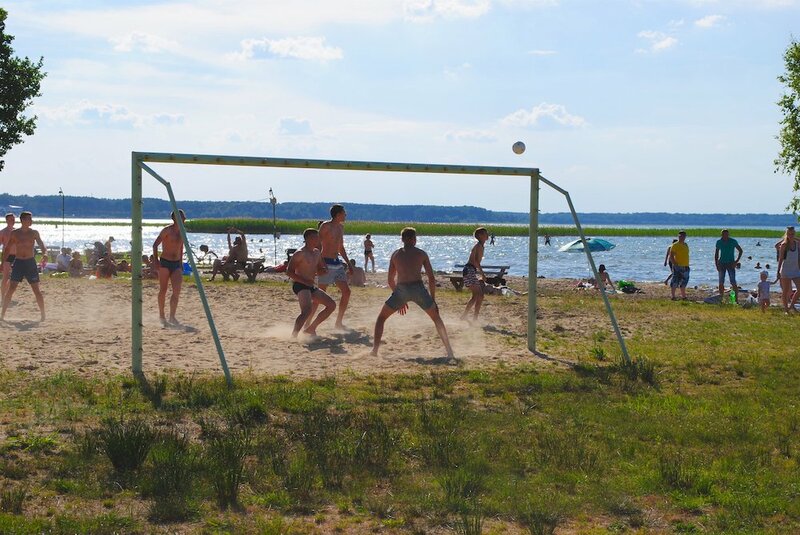 Since Russia’s 2014 annexation of Crimea, many Ukrainians are seeking new, waterside locations for their summer holidays. 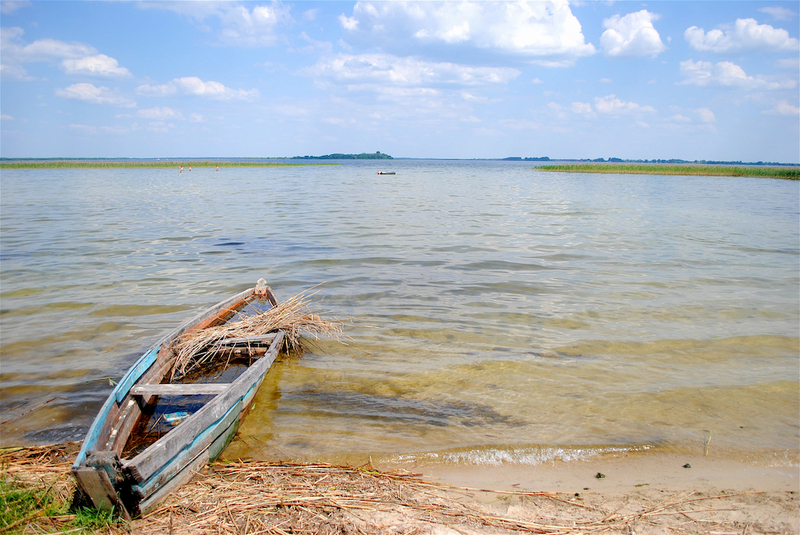 Can Lake Svityaz, nestled between Poland and Belarus, balance the needs of conservation with a flood of new visitors? When they came home one day to find armed separatists swarming all over their house, Aleksander and Yelena Tokareva knew it was time to leave the eastern Ukrainian city of Donetsk. They got in their car and drove 19 hours west across the country, to Lutsk, just 90 kilometres from Poland. Hoping to wait out the war, they went on to Lake Svityaz, in Ukraine’s northwest corner — the furthest away from the fighting they could get without leaving the country. They had left behind Yelena’s parents, their apartment, two parakeets, and a dog. Wedged between Ukraine’s northwest borders with Poland and Belarus, Lake Svityaz is the poster boy of the Shatsk National Nature Park, a 490 square-kilometre biosphere reserve. 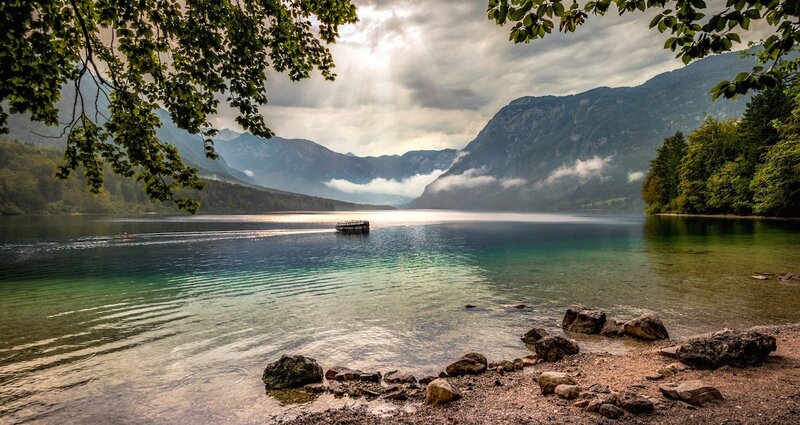 The lake is famed for its clear waters and beauty. Its furthest shore toes the horizon line. The lake floor is said to have healing properties. 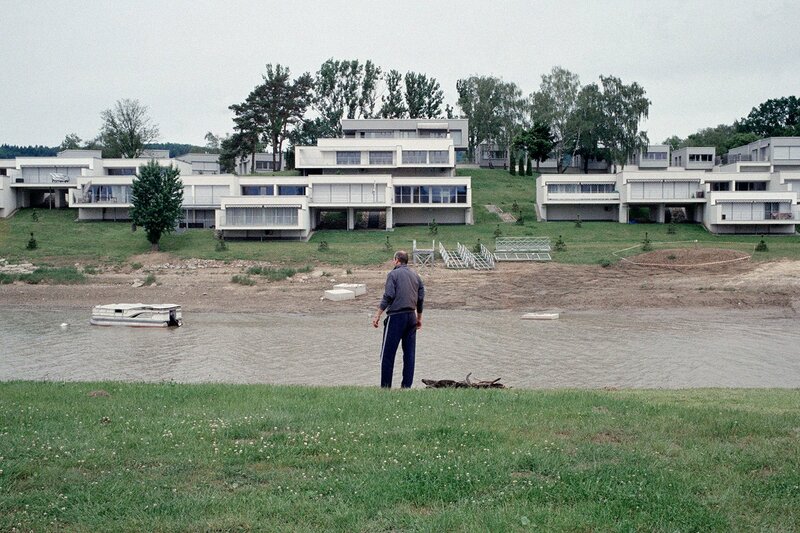 No large resort corrupts the reedy lakeside. Yet even in this remote corner, the consequences of the conflict with Russia shape Ukraine’s natural space — who gets to use it, and how. 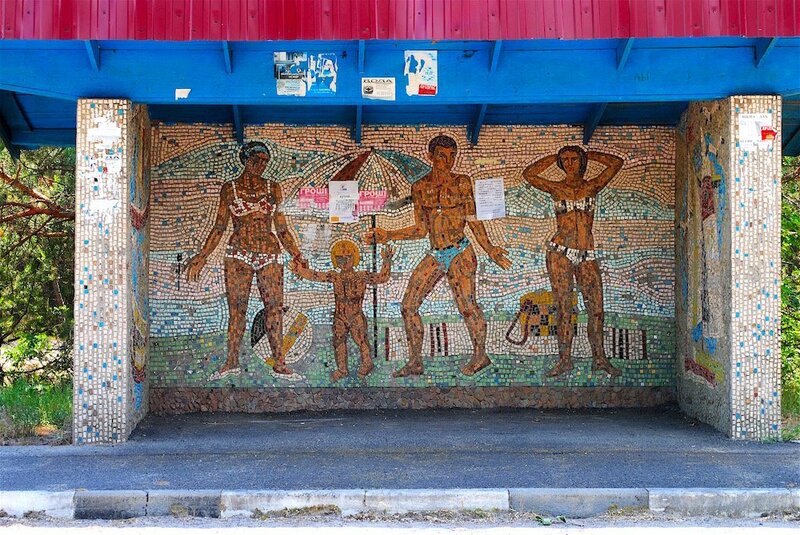 Russia’s annexation of the resort-dominated peninsula of Crimea in 2014 pushed Ukrainian vacationers to look elsewhere for their fun in the sun. The wealthy flew to Turkey, Greece, the Maldives. Many others flocked to Lake Svityaz. And tourism boomed. Today, the towns that string Svityaz’s shores are struggling to meet the rocketing demand. 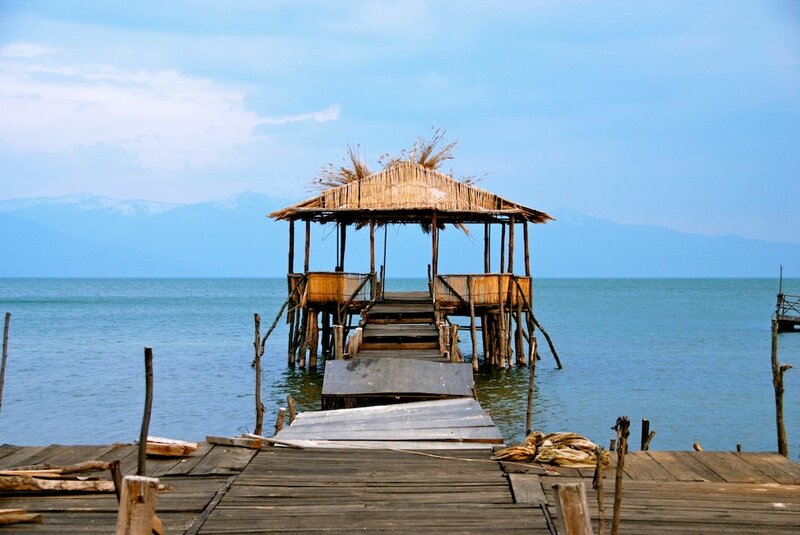 A village of about 2,000 residents, Svityaz — named after the lake — strains to accommodate the tourist trade on which it survives. Mykola Vasylyevich is the head of Svityaz’s village council. For every year in the last ten, Vasylyevich estimates, tourism has jumped by 15%. Park rangers and village residents note particular increases after 2014. 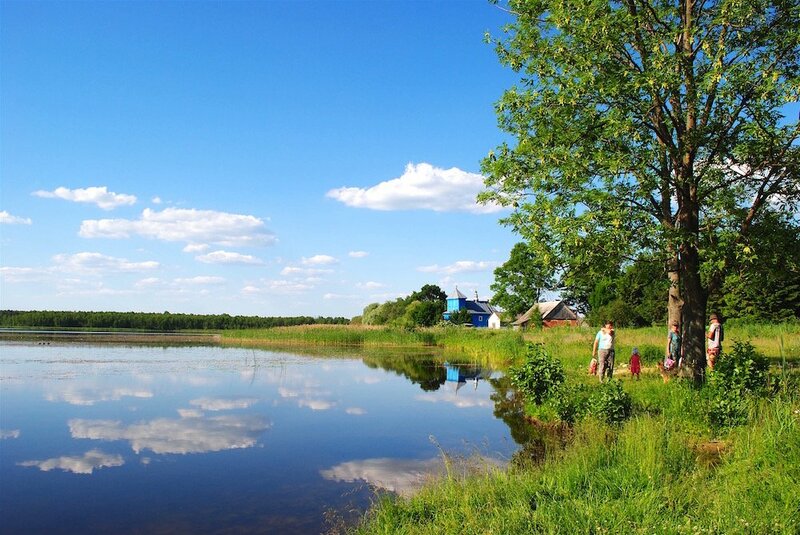 With few permanent, well-paying jobs in the village, tourism profits keep Svityaz afloat through the year. Though its mission is conservation, Shatsk reserve also relies on the money it reaps from the tourist trade. The administration in Kiev pays only for employee salaries and office rent — all other funding is from camping sites and entry fees. This acute need for tourism, however, is outpacing the village’s capacity to update its antiquated public infrastructure. Svityaz has no public sewage system. Its roads are hillocky and cratered. Restaurants and hotels are few. With tourism demand high, Shatsk’s new director is currently racing to update the town’s tourist infrastructure ahead of the summer season. 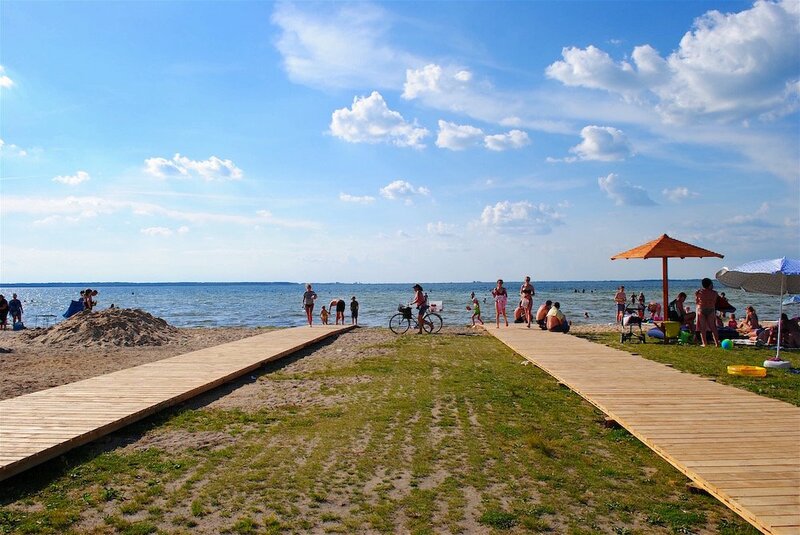 A plan to reconstruct Svityaz’s central beach has proven controversial. What had been a quiet patch of sand was to be transformed into a mile-long stretch of beach, fresh boardwalk, and beer kiosks. The town supported the plan on paper. But community support splintered once construction began. 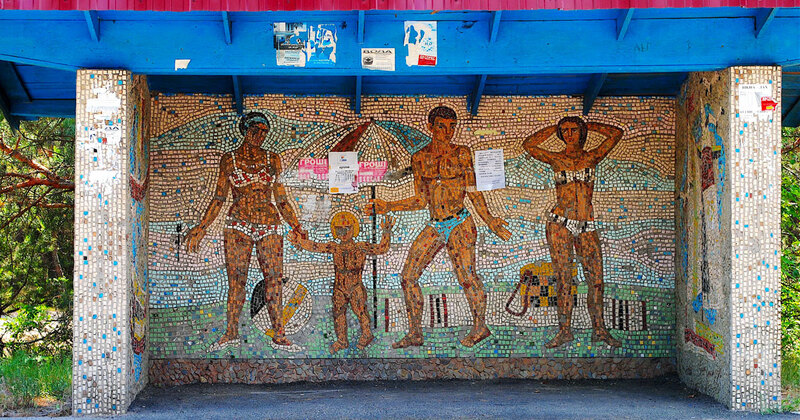 Having paid the park to rent beachfront land to construct vending kiosks, business owners worried that the park would remove their investments at the end of the tourist season. Ordinary locals expressed the opposite worry: that new construction would stay, and their quiet beach would be forever blocked off. Others thought updates were long overdue. 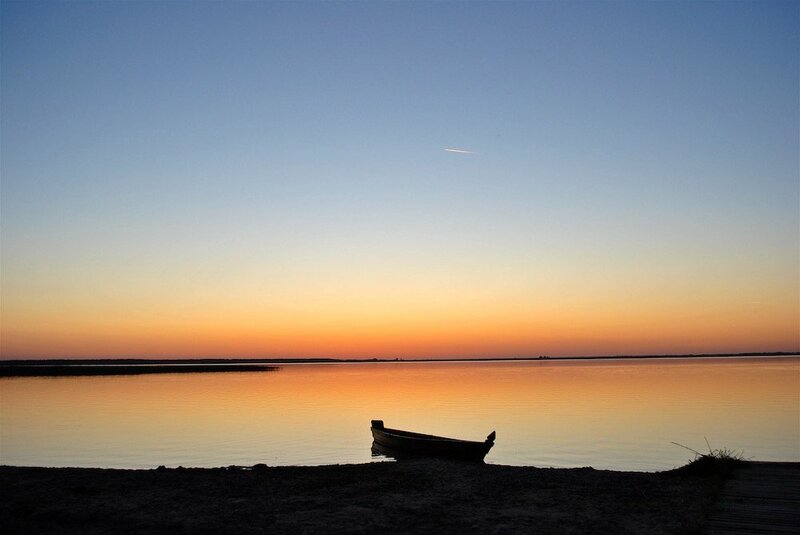 Yet, as much as Svityaz is bounded by Ukraine, the lake is also shaped by its liminal contact with Europe. From a fire tower near the park offices, you can see how lakes are splattered across unpartitioned rows of forest pine. 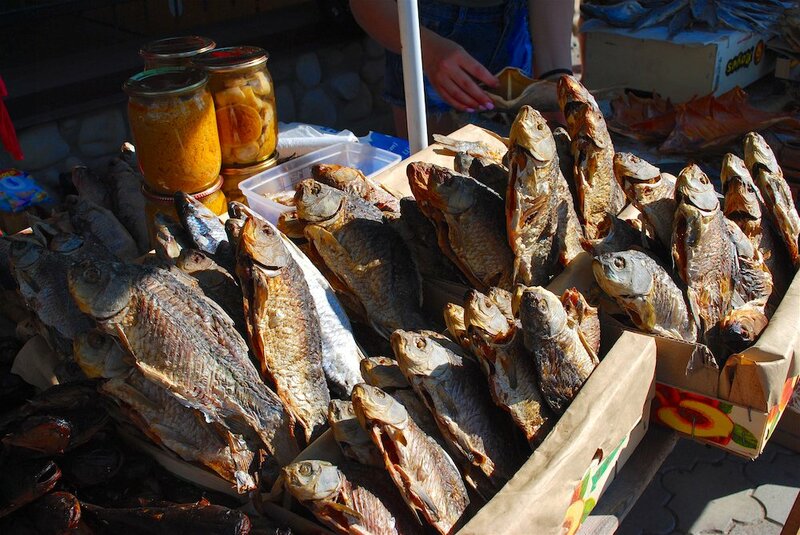 There is Svityaz, and the wooded island at its centre; there is the village and the village’s fish-sellers. But, somewhere beyond, Ukraine terminates; the nation’s lovely nature becomes Belarus or Poland’s lovely nature. Svityaz is Ukrainian by a hair. Slapped together from fallen empires and, for nearly a century, shadowed by the Soviet Union, Ukraine’s western borders have long blurred, altered, and broken apart. At points the country hems so close to Europe that one tips into the other. 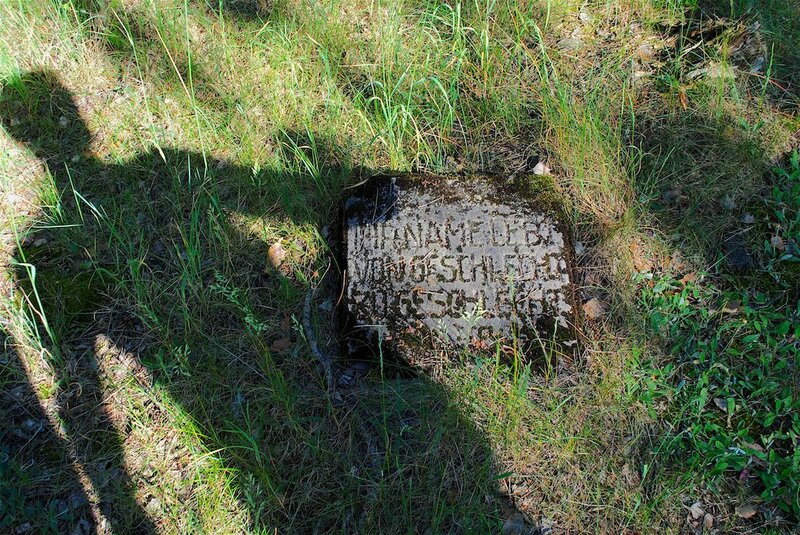 A roadside north of Lake Svityaz hides the overgrown mass graves of Austro-Hungarian soldiers, killed nearby during the First World War. Not far from there, a thousand-year-old church topped by the onion domes of Orthodox Christianity straddles a lakeside hill; a medieval prince of Kievan Rus is rumoured to have visited. The church faces a school, still in use, built from handsome brick by the Polish nearly a century ago. Europe survives in Ukraine as a built record. It also lures today’s Ukraine as a nearby, neighbouring future. Driving back from the schoolhouse, our three local guides debate Ukrainian patriotism. Volodymyr’s friend rolls his eyes. “If you had the opportunity to leave, don’t pretend that you wouldn’t,” the friend says. They pause. The car veers right. We stamp on the brakes. It was true. You could see Belarus, and the guardhouse that marked the border. Elsewhere on Lake Svityaz, the markings of resurgent attitudes about national belonging are less subtle. 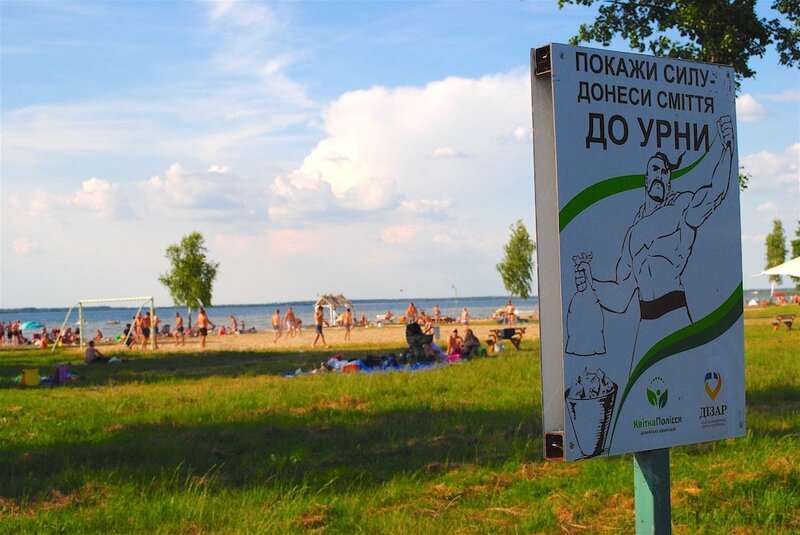 On a fresh sign near the central beach, a shirtless, muscled Cossack brandishes a piece of trash. “Show your strength!” the sign reads. “Bring your trash to the trashcan!” An appeal to ethnic history and to manhood, the message is clear. Defend your land! Don’t litter! By the first weekend of June, the beach is transformed. Newly constructed boardwalks of white pine lattice dirt mounds chewed up by excavators. Beach kiosks flung open to sell beer on tap. Cars with Ukrainian, Polish, and Czech license plates line the main road, tipping into gullies, commandeering pavements. Families sunning on the remaining patches of grass.